Following the successful launch of the Penplusbytes’ (www.penplusbytes.org) METOGU! 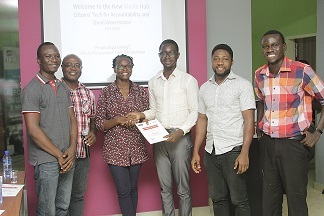 Study findings on Anti-corruption in Accra, the project team will be in Kumasi on the Thursday 28th of June to engage citizens on the report findings. This event forms part of scheduled activities earmarked by Penplusbytes to engage citizens, the media and other stakeholders in the selected project regions to share the final research findings and provide an opportunity to discuss and dialogue on regional basis the findings of the Metogu (Keep the pressure on) anti-corruption research. 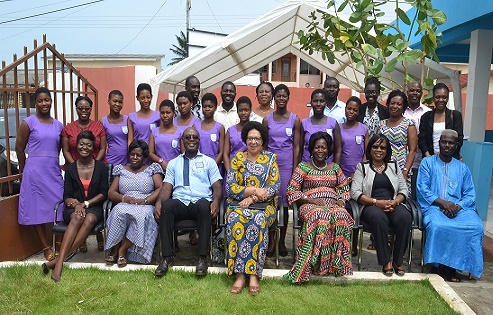 The Ashanti region served as one of the Metogu research locations. According to previous national elections, the region commands the position of being the stronghold of the ruling New Patriotic Party (NPP) government, therefore it provided a stronger perspective from view point of persons living in the region. Interestingly, from the research, an overwhelming 97.5% of the respondents in the Ashanti region posited that corruption is very high in Ghana, which correlated to similar views expressed by citizens in the other research regions of Greater Accra (95.2%), Western (95.7%) and Volta region (93.2%). 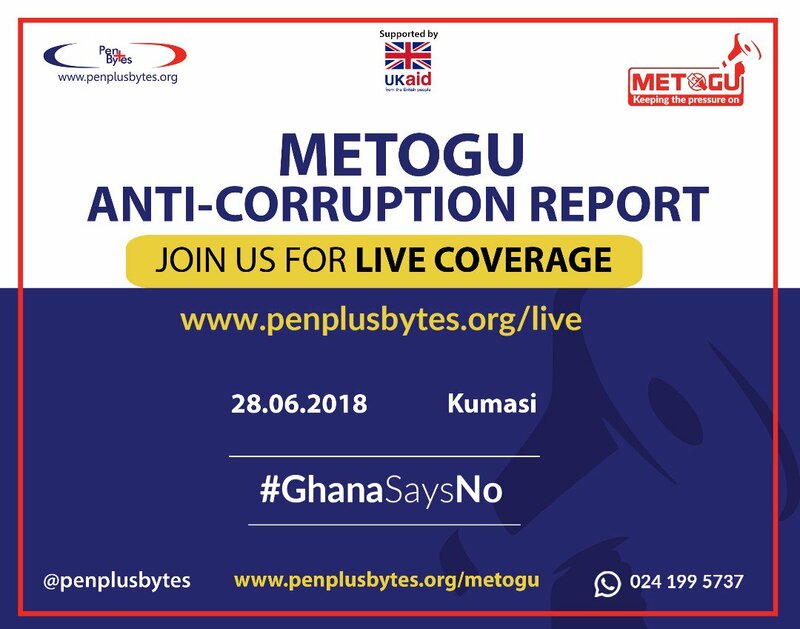 “Corruption is indeed a national canker and needs a concerted effort and multi-pronged approach where all citizens are involved in the fight to ensure it is reduced to the barest minimum so that the government’s mantra of ‘Ghana beyond aid’ becomes a reality…” Kwami Ahiabenu II, Executive Director, Penplusbytes.